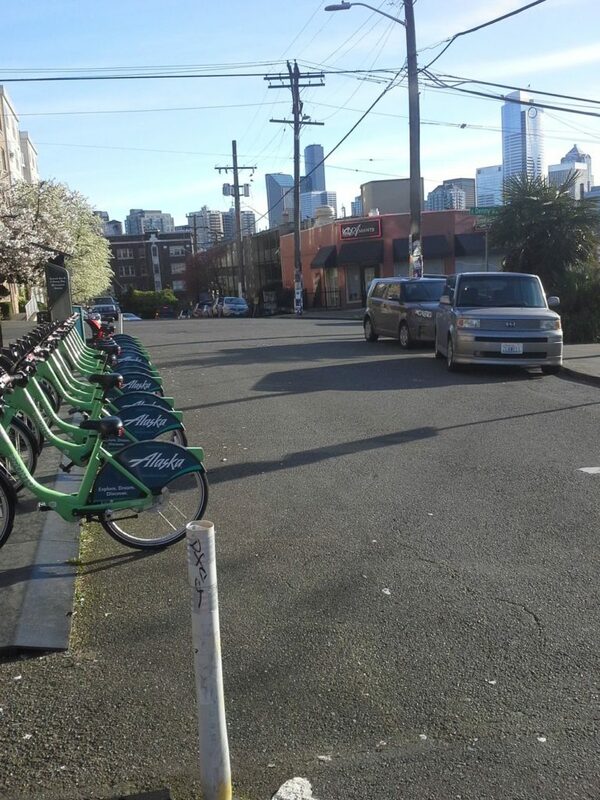 The Seattle Department of Transportation is seeking ideas on what to do with a segment of street on Capitol Hill that it has singled out as being one of several sites that it wants to transform from underutilized street to park space in 2016. The segment of road is on Summit Avenue between Olive Way and E Denny Way. This one-way segment serves only as a cut-through for traffic coming off Denny or Summit, and creates more potential for pedestrian conflict when there are already several busy streets coming together in the area. It also contains two parking spaces and a Pronto station. The parking will go; the Pronto station is set to remain part of the newly reimagined space. What to do with this segment of Summit Ave? At the Capitol Hill Community Council meeting this Thursday, April 21, SDOT will be on hand to gather feedback about what could be done in the new parks space. For these projects, the changes must not be permanent as the Pavement to Parks projects are essentially pilot projects to see how well the spaces function as park space. Join us on Thursday and take part in this exciting new program. You can also check out the first Pavement to Parks project in Seattle on First Hill at the intersection of Union, University, and Boylston. The CHCC meeting will be held at 12th Avenue Arts at 6:30 PM.